Always wanted to be your own boss? Got ideas on running your own business? Do all the details seem overwhelming? Start small, one day a week! 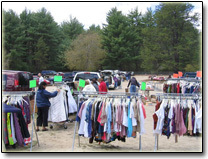 Its tough to start your own business without a big bank account or financial backers, but flea markets are fertile grounds for sprouting successful entrepreneurs. We give people opportunities to plant seeds to grow small businesses that often develop into larger companies. 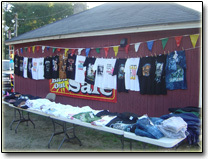 As a flea market vendor you have the freedom of being your own boss. In 30+ years, we've helped build more than a few businesses! Our reputation and proven traffic has also lured many existing businesses to sell here. We simplify many of the hurdles that small business owners face. We open at 7:00 am. Our close time depends on the crowds and weather usually between 2:00-3:00 pm. Although with such an early start some vendors have sold out or start to pack up around 1:00 pm. SO COME EARLY! We are in full swing with full field of vendors by 7:30 am. Tables are available for $3.00 per table! 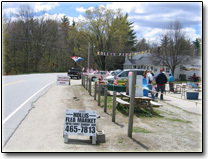 IMPORTANT:Vendors need to make sure you find the HOLLIS FLEA MARKET. 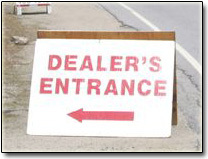 Look for a large white painted sign reading “DEALERS” with an arrow pointing you to our field! NOTE***** We are across the from Shirley’s Market not on the same side of the street. 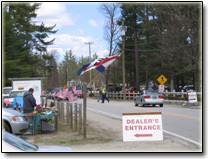 Shoppers: Non-vendor parking is located across the street from vendor entrance on same side of street as Shirley’s market. 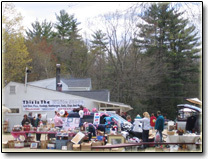 Please note: We are not and have no affiliation with Shirley’s Flea Market. If you have any problems call us: (603) 465-7677!